The Commission charged Google in April with abusing its dominant market position as a search provider in Europe. It said Google systematically favored its own comparison shopping product over competing services, a practice that infringes on European Union antitrust rules because it stifles competition and hurts consumers. The antitrust investigation began in 2010, triggered by complaints from organizations that now include Microsoft, Foundem, Yelp and European consumer group BEUC. On Thursday, the Commission sent the complainants a heavily redacted version of the Statement of Objections it sent Google in April, according to a person who works for one of the complainants. He spoke on the condition of anonymity because the Commission has imposed strict confidentiality clauses around the document shared with the complainants, the person said, adding that complainants will have four weeks to give their views on the charges and send extra evidence. The European Commission declined to comment on the ongoing investigation. There is no timetable for the Commission to decide on antitrust investigations since these depend on a number of factors, including the complexity of the case, a Commission official said. The company could be fined up to 10 percent of its annual revenue. 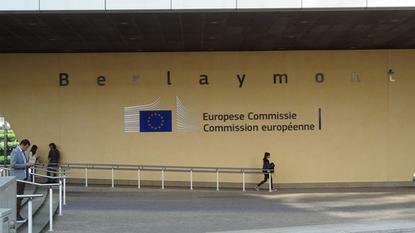 The Commission is not just concerned about Google's search services. At the same time it informed Google of those charges, it also launched a separate antitrust probe focusing on the company's bundling of its apps with the Android OS.